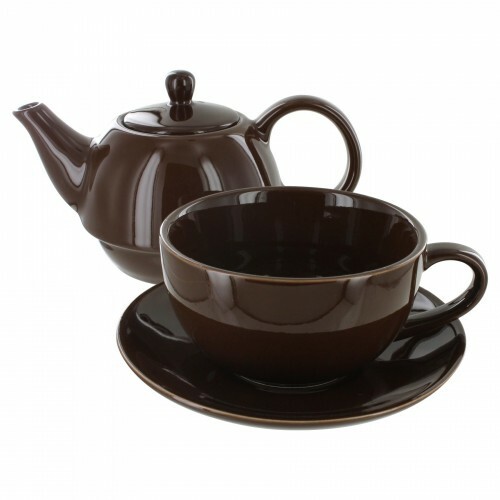 Set is dark brown. 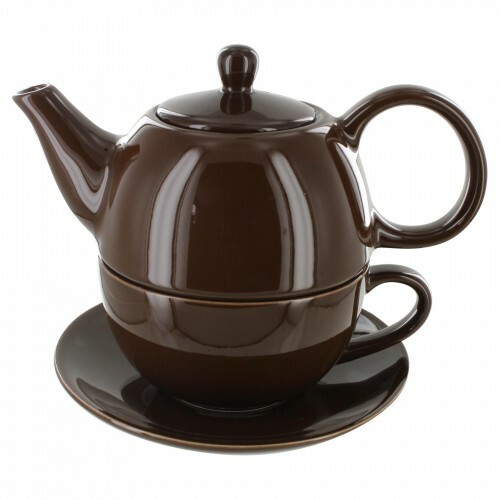 The teapot has a small lid with a handle and teapot and mug have handles. Set measures approximately 6.5" x 5". Comes packaged in an individual box. Box measures approximately 5" x 5.25" x 4.5".